Tissue weight rayon and polyester blend t-shirt knit. Exceptionally soft with a flowing drape and slight mechanical stretch in the width. 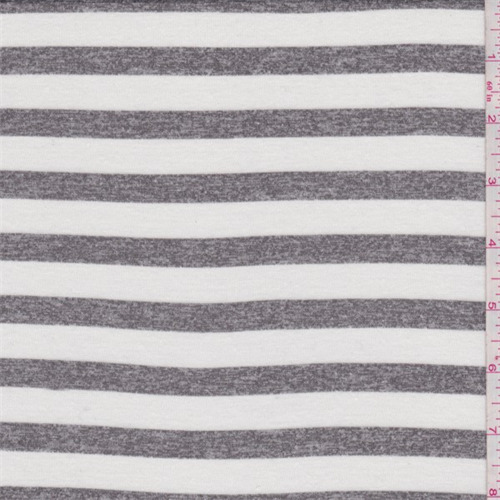 Horizontal 1/2" yarn dyed stripe. Suitable for knit tops. Semi-sheer. Hand wash cold or dry clean.